Choose the right investment for your home. From aesthetics to function and durability, ShadePro European & North American style windows and doors are custom manufactured using quality materials and the most advanced technology. In the end, quality pays . 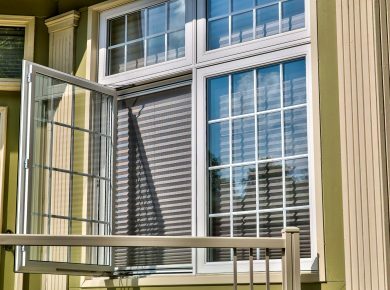 . .
European styling and inspiration are just two of the ingredients that ensure that each of ShadePro’s Tilt and Turn Windows will provide: exquisite design, beauty, unmatched function and versatility. 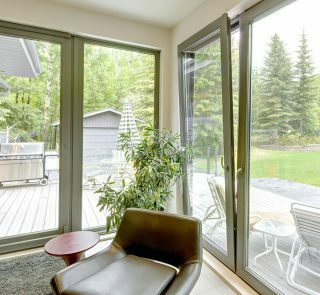 Tilt and Turn windows are an ideal choice, easy to operate, strong, energy efficient and provide unsurpassed protection from the harshest of Canadian weather. Insect screens: full screens are custom manufactured using quality materials and the most advanced technology. 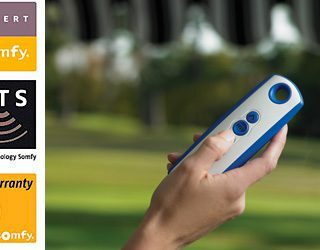 Contact Us for more information (Performance Data, CSA Ratings, etc.) on these stylish windows! The unique design of Tilt and Slide from ShadePro permits you to pivot your sashes for easy cleaning and/or full ventilation. 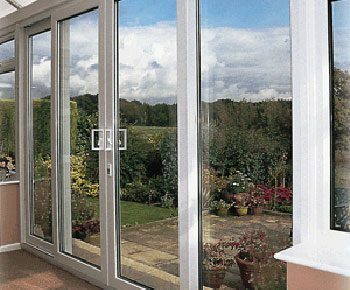 Tilt and Slide doors are a great choice for ground floor applications such as: access to patio’s, decks or porches. 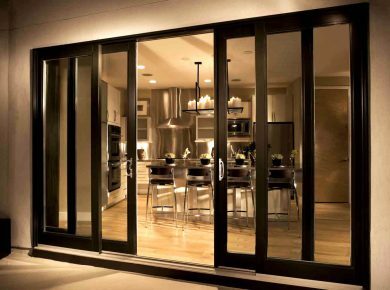 For help in discovering which Tilt and Slide door system is best suited to your requirements and budget, contact the ShadePro team today! Spans (openings) of up to 8′ wide are possible using this product. 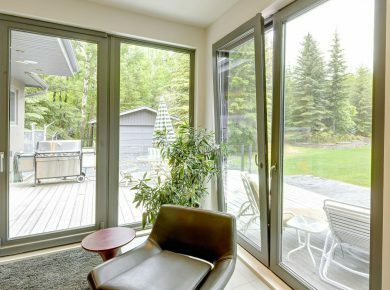 The unique design of Tilt and Turn French Door from ShadePro permits you, all the benefits of the tilt & turn system, while offering maximum opening potential. 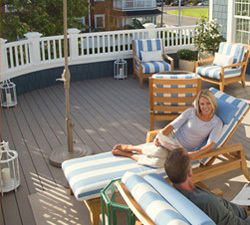 Doors open fully to the interior allowing unobstructed access to patios or decks. For help in discovering which Tilt and Turn door system is best suited to your requirements and budget, contact the ShadePro team today! Spans (openings) of up to 8′ wide are possible using this product. Insect screens: full retractable screens are custom manufactured using quality materials and the most advanced technology. 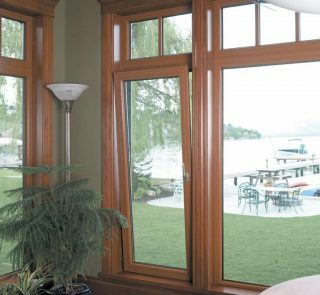 The ShadePro vinyl casement window is unsurpassed – it is easy to operate, strong, energy efficient, quiet and durable. The sash features a contoured shape similar to fine millwork fabrication and has elegant, narrow sight lines. 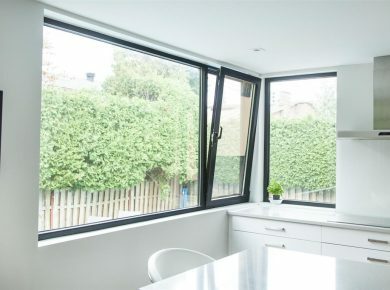 The ShadePro Casement Window is suitable for any building application—residential, commercial or institutional. Believed to be the first (and only) vinyl window design ever to earn a performance rating in the highest classification defined in the window industry (AAMA 101 “Architectural”, grade 70). Ease of operation: A single handle unlocks the multiple locking points, another crank lets the sash glide open. 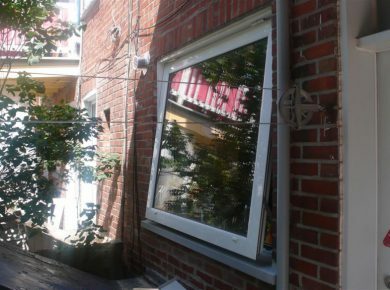 The hinge design allows you to conveniently reach the exterior of the glass for washing when the window is open. Security: Multiple locking points surrounding the sash mean that the window is secure, tamper resistant and withstands strong wind pressures. Fusion welded for strength: sash and frame corners are miter-cut and welded, eliminating caulking and joints that may loosen and leak. Triple seal design: The sash is designed to seal against the frame with three continuous seals and a dual cavity, pressure-equalized configuration. Multi chambered walls: Double-wall construction increases strength, permits thorough water drainage and increases energy efficiency. Architectural rating: Able to withstand heavy use, this window achieves a grade 70 rating (a rating often associated with resisting winds in excess of 130 mph) even when made in the large 3′ x 5′ “architectural” size. The rating signifies that the windows passed a battery of 2,500 cycles of opening, closing and locking, “misuse” torsion and loading, and subsequent retesting to prove continued air and water infiltration resistance. 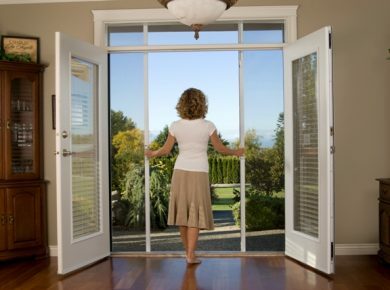 Glass options: Options include high-performance and decorative glass. Longevity of vinyl: Resists corrosion from pollutants, never needs painting and can be cleaned with soap and water. Sizes: custom to suit your needs! These low maintenance vinyl windows provide the quality you want, whether updating your existing home or building your new dream home. 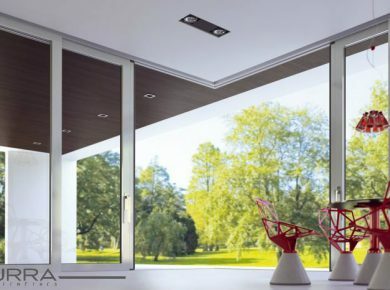 Beautiful, durable, energy efficient – what more could you ask for? According to The Aluminum Extruders Council, aluminum is the most recommended building material in the market today. It is 43 times stronger and more durable than wood, 34 times more than PVC and unlike other materials; 100% recyclable and Infinitely scalable without any alteration of its qualities. 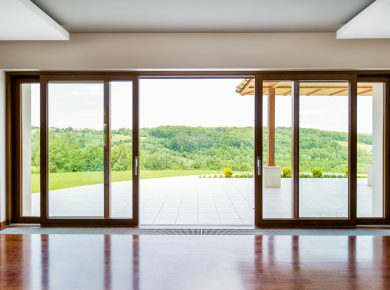 This superior quality and structural integrity is what permits custom-made window and door applications without traditional size or space limitations. We understand the importance of sustaining our environment and responsibly conserving our planet’s natural resources. 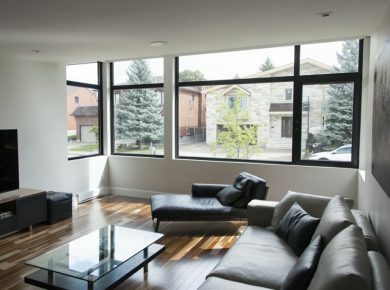 It is the main reason we selectively choose a manufacturer whos fenestration applications are eco-friendly, using materials such as commercial-grade aluminum and ‘sustain-ably harvested’ wood core products. The New Standard of Excellence! All windows & doors arrive factory finished with the highest-quality hardware, commercial grade aluminum framing, your choice of focal-point finishes and police-recommended multi-point-locking. Our remarkable applications and impressive array of options will surely offer you; uncompromising performance, rugged durability, low maintenance and maximum longevity meant to increase your investment value. The unparalleled fabrication process and structural integrity of aluminum windows & doors allows you to achieve panoramic views without traditional limitations of size or space. 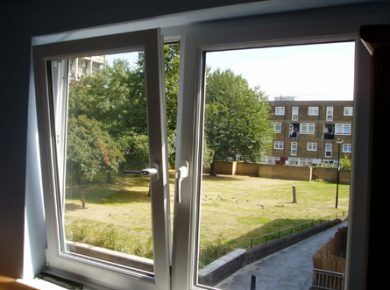 Tilt & Turn windows are growing in demand because they are simply perfect in design, application and functionality. Their European craftsmanship and versatility provides two functions of venting: The tilt top position provides draft-free ventilation with worry free rain protection. 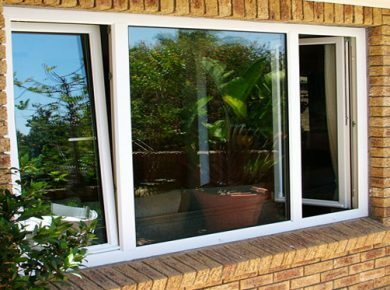 The turn position allows the glass area to fully open like inswing casement windows. As well as Easy to Open one handle operation. They are available in double or triple panels from 4 to 6mm with standard, textured or laminated glass options and arrive factory finished with the highest-quality hardware, commercial grade aluminum framing, your choice of colors or wood grain pattern focal-point finishes and police-recommended multi-point-locking mechanisms. 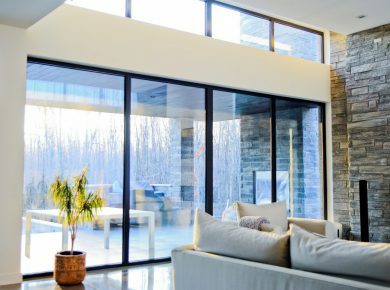 Fixed Architectural Windows are superior quality panoramic windows uniquely custom-made to order for all permitted structural openings and exceptionally adapted for our Nordic Canadian climate. They are factory finished with state-of-the art architectural hardware, your personalized focal-point accent finishes and sturdily enforced with police recommended multi-point locking mechanisms. 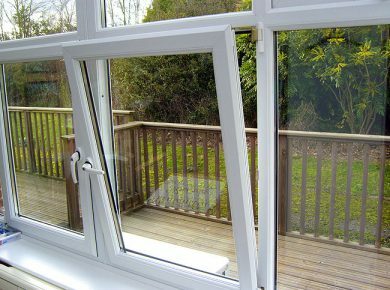 Awning windows provide increased ventilation and light – hinged at the top and open outward with the simple turn of a handle. Practical and attractive, Awning Windows are often placed above or below other windows, or above doors for increased ventilation and light. 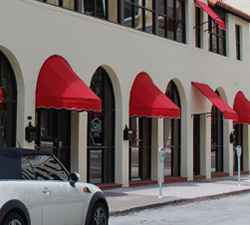 Wider than they are tall, awnings can be left partially open regardless of the exterior conditions. 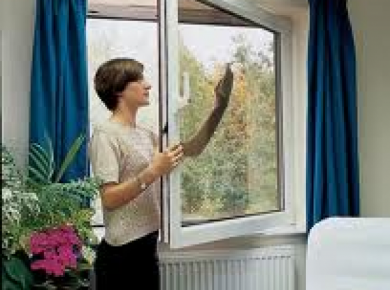 They are also often used in combination with large stationary windows to provide a view, and air flow. 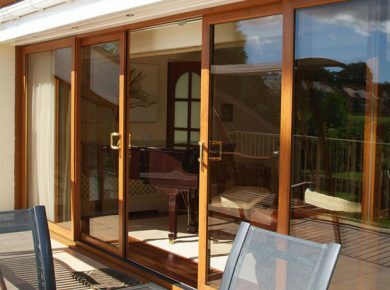 Endless design possibilities of Lift & Slide, Tilt & Turn or stunning Bi-fold systems to enhance your living space!